The hit series returns to charm and inspire another generation of baby-sitters! Claudia's sister, Janine, is too busy being smart to be nice to anyone--even their grandmother, Mimi. 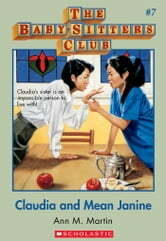 But Claudia doesn't have to see Janine too much this summer, since the Baby-sitters Club is starting a new play group. It's going to be so much fun! But then Mimi has a stroke, and the whole summer changes. Now Claudia is "Mimi-sitting," and Janine is no help at all. How can the Kishi sisters get along when Janine is always so mean? The best friends you'll ever have--with classic BSC covers and a letter from Ann M. Martin!